Home » Product review » Chicken for Everyone! Last week, my friends and I ate at the Kyochon branch in Megamall. 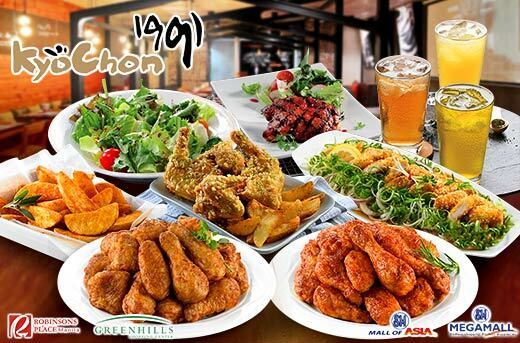 Kyochon is a well-known Korean chicken restaurant, with scrumptious, crunchy, and crispy drumsticks with different flavors such as soy garlic, red chili peppers, honey, and their special rice batter. Thanks to Metrodeal for offering a great discount, we were able to enjoy delicious yet affordable food. My friends were praising me for finding this deal and treating them. Since we’ve tried so many different chicken recipes on our food trips, we’ve become harder to please. What we liked about Kyochon is that they achieved the perfect balance of flavor in the drumsticks. The different choices of seasonings meant that they catered to everyone’s taste. Since we got to try all of them, we can say that our favorite was the honey series because the sweetness perfectly complemented the chicken’s juiciness. I would recommend Kyochon to anyone who loves chicken and wants to diversify their palate.